You might be a high-flyer with a mountain of emails to wade through and countless meetings to attend this week, but in the back of your mind is the impending doom that you need to think of something original for Halloween or lose your cool parent status forever in this modern nightmarish tale. I am always fascinated by how people use a combination of innovative ideas and technology to bring something a little different to age-old traditions. The pressure for families to outdo their neighbours by adding something unique to their annual Halloween celebrations and deliver the ultimate scare factor is here once again. The days of simply carving a traditional pattern to your pumpkin are gone, and there are now a wealth of patterns and stencils available online to ensure you secure the cool factor with your friends and family. However, the latest hair-raising trend of ghost droning has raised the stakes for anyone wanting to bring All Hallows’ Eve into the 21st century. Tech fans have created a fusion of old and new methods to deliver the ultimate fright night by adding traditional scary costumes to drones that were originally designed for aerial filming. Those who have a fear of clowns might want to stay indoors next Saturday if these videos by @djlilraz are an early indication of what to expect. Who are you gonna call when an apparition of a terrifying flying clown haunts your neighbourhood? Technology is also on hand to ensure you do not find yourself in the ghastly position of arriving at a party in the same costume as one of the other guests. Google Frightgeist helpfully allows you to to see what costumes are trending in your neighbourhood obtained from Google Trends 3-billion searches. Predictably Harley Quinn and anything Star Wars related will be incredibly popular this year as fans get their geek on. The ubiquitous selfie and the sticks that accompany them will be hitting the streets in full force, and there are a few apps such as Vampire Me that allow you to capture your inner bloodsucking vampire. However, the fact vampires do not have a reflection seems to have been conveniently left out of the app description. When it comes to the afterlife, vampires might seem a little lame to zombie obsessed millienials but thankfully there is no shortage of apps for fans of the Walking Dead to quite literally zombify yourself for the ultimate Halloween selfie. 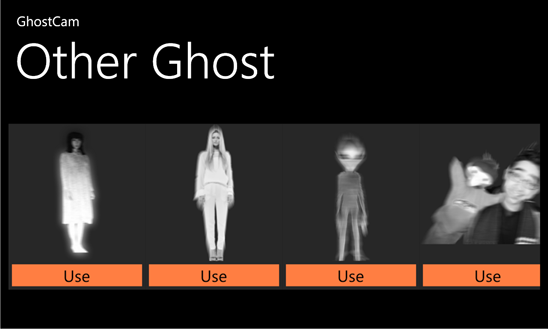 Meanwhile, GhostCam allows you to spice up your photos by placing ghostly figures in the background to add a little authenticity to those late night spooky stories. Scare Cam allows you to trick your friends into performing an eye test only to flash a scary pic on-screen and film their reaction to share their lack of nerve on social media sites such as Facebook and Twitter. If you wanted to add a 21st-century angle to the spooky stories around a campfire, there are a wealth of ghost story podcasts available on Stitcher that will certainly be responsible for a few sleepless nights. Meanwhile gamers might prefer to enter the world of Silent Hill with the lights off or sample one of the many scary titles at their disposal. Halloween might be an ancient tradition, but it’s our love of technology that will ensure this year’s parties bring something a little different to the table. Although these are days of selfies, flying drones, mobile apps and online trends. The truth is these are also just more tools at our disposal to up our game this Halloween. As a society, we have evolved so much over the last 2,000 years and yet fundamentally we are exactly the same trying to scare each other with the same old ghost stories whether it be by a campfire or via a podcast. It seems that when the darkness falls across the land, it’s technology that will be bringing people together whatever you choose to do on October 31st.